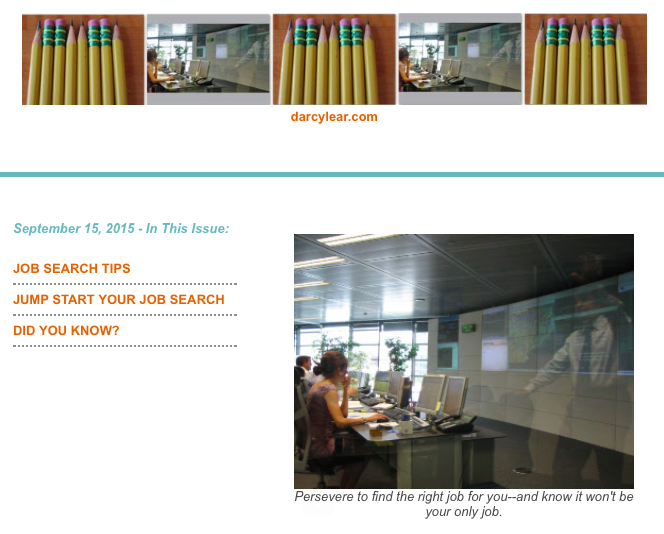 The September newsletter from darcylear.com is out. It’s all about the power of being resourceful and resilient, two keys to success for anyone in career transition–whether college to career, mid-career or assistant to associate faculty. 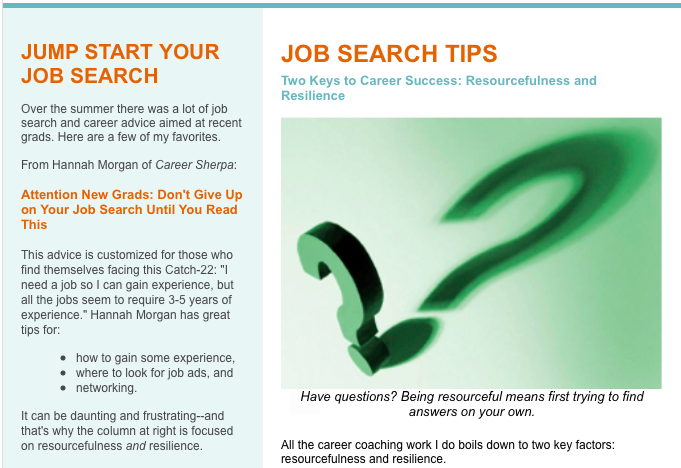 Links to articles with tips, analysis and insights related to building your capacity for resourcefulness and resilience are included. Click here to link to September’s newsletter and sign up at the right to receive them automatically every other month in your email inbox.